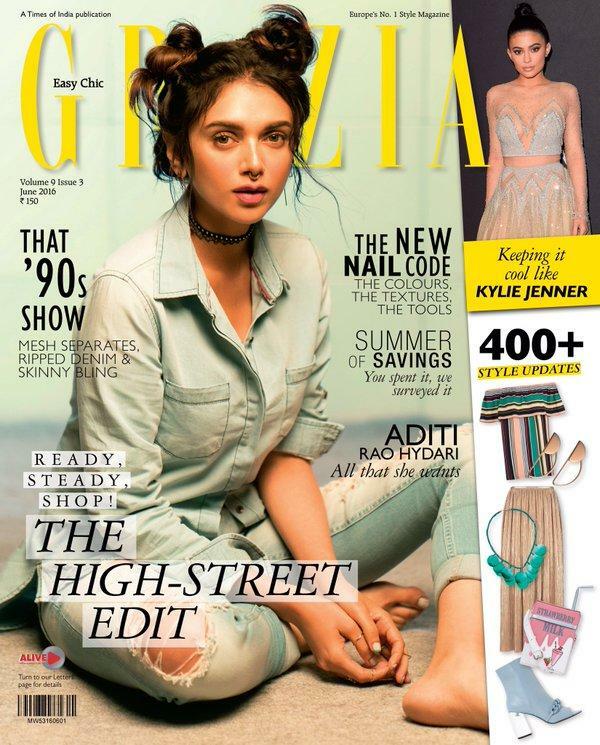 You Can’t Miss Aditi Rao Hydari’s Quirky Avtaar For Grazia Latest Issue! Aditi Rao Hydari is one stylish actress we have ever seen in Bollywood. Recently, she graced the latest cover of Grazia and believe me she nailed it with her look. Her ravishing look was all-denim, skater girl inspired with hair tied in two buns. The actress rocked the funky look with no makeup. Her funky middle nose ring and tattoo choker complemented her look perfectly. We totally loved Aditi’s quirky avatar in this magazine. What about you guys? Don’t you guys think the Wazir actress is ruling our Bollywood with her different style. Only she can dare to try this new look!